As the weather gets colder, it is time for you to think about moving and winterizing any watercraft you have still on the water. To protect your investments, make sure that you consult the owner’s manual and your insurance policy to ensure you are following any guidelines laid out in case something unfortunate happens. Taking the time to protect and properly store your boat now will ensure its performance when you bring it back out on the water when the weather warms up again. When winterizing your boat, make sure you plan in advance for storage. There are many facilities that offer both indoor and outdoor storage options. Moving your boat will depend on how you choose to store it in the off-season. If you live in a warmer climate and are storing it in the water, make sure to clean the interior of the boat before covering it. Consider placing products like DampRid throughout the interior to prevent mildew. 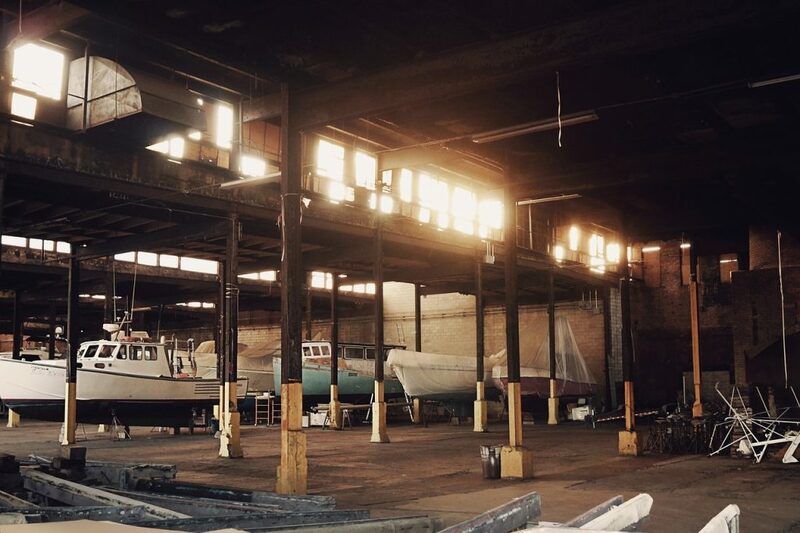 Once you’ve decided on a storage facility, it’s time to prep your boat for storage. Most storage facilities offer all these services as add-ons, but of course, hiring them to do the work can get pricey. If you’re more of a DIYer, here are some things to do to make sure your boat is thoroughly prepped. Write down anything on the boat that requires maintenance before next spring and get the work scheduled. If there are any blisters in the hull have them repaired soon. Power wash all the barnacles and slime off the hull, rudders, props, shafts, struts, and trim tabs. Also, take any valuable items out of your boat such as fishing gear, electronics, fire extinguishers, and flares. Additionally, remove the batteries and store them in a warm, dry place. After shutting them off, flush antifreeze through all the systems and turn on all faucets and sinks until the antifreeze comes out. Also, pump out the holding tank and flush with fresh water, followed by antifreeze. Not properly draining water from your boat will lead to damage caused by freezing water or corrosion and rust on working parts. Put fresh gas in the tank until halfway full and use a fuel conditioner. During the winter, the fuel octane level will drop which can cause engine damage. To avoid this, fill the tank with fresh gas before using your boat the next spring. 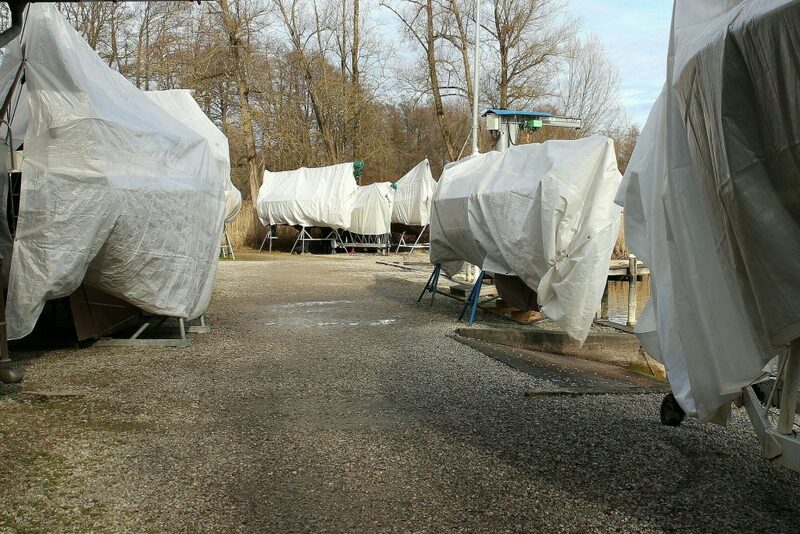 A boat cover is an essential part of winter storage according to Patrick Galvan from Storage Talk. “The last thing you want is to have the inside of your boat become filled with snow and debris.” Cover prices will vary be boat size and shape, but many people choose to shrink wrap their boats for the best protection. While you can transport a boat yourself, most people call on a professional moving service to help them get the job done safely and efficiently. If you’re transporting the boat to storage yourself, make sure you have the right trailer for the job. Mark Scocco from Bergen Bass Masters states that “the most important thing to do to the trailer is to re-pack the bearings. If a bad seal has permitted water to get in, they’ll surely rust while sitting idle for the winter.” If there are any signs of wear to the bearings or tires have them fixed or replaced before loading your boat. You may wish to consider jacking up the axle while your boat is stored to take the weight off the tires. Also, remember to check the taillights before taking your trailer out onto the road to avoid being pulled over. Following these safety tips to ensure the protection and maintenance of your boat throughout the winter season. 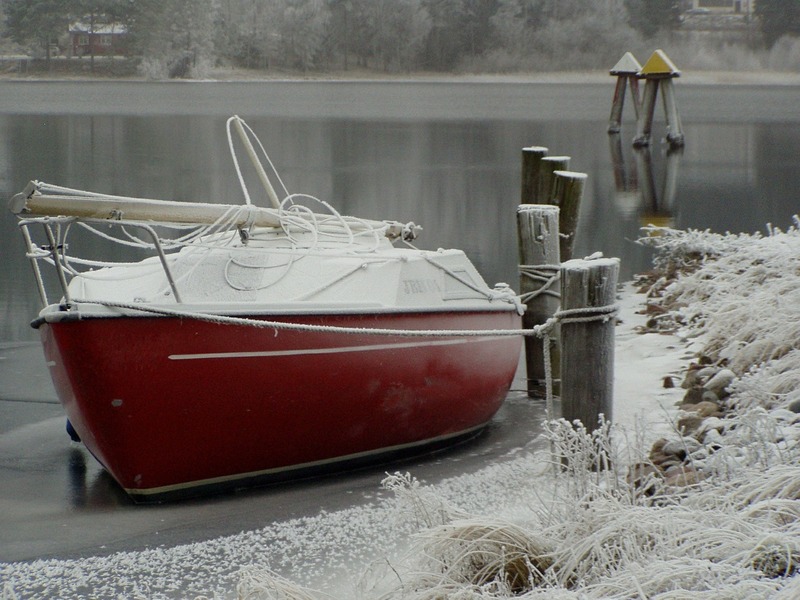 If you’ve properly prepared and winterized your boat, it will be ready to set sail again as soon as the snow thaws!